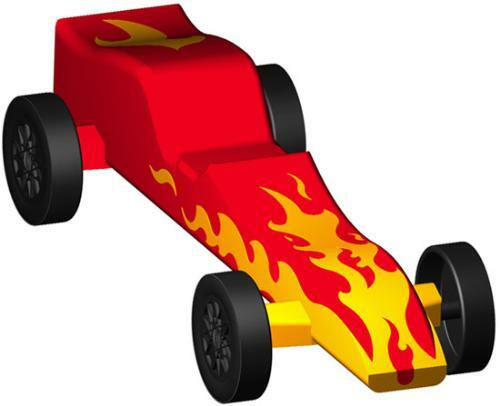 Click here for the official PINEWOOD DERBY Site! Under car clearance 3/8" min. Minimum width between wheels 1-3/4"
Body / Shape: Scouts have fun!! Car may be of any style provided that it meets all specifications, makes good contact with the starting pin and does not extend past the starting pin. Extreme caution and care must be taken for "wish-bone", "Y", or "U" shaped cars. Wheels cannot extend past car body. Frontend of car—the most forward part of the car must be at least 5/8 inches wide. Ok, you have a plan and you are ready to build your car. Please make every effort to build an honest car. This race is about sportsmanship, friendly competition among packs, and our scouts and parents to play fairly. Please use proper BSA accessories and approved lubricants. Now it’s off to race day.